Area Appliance Service is grateful for all the positive reviews we’ve received from our customers over the years. It’s reassuring to know that all our hard work providing you with the highest quality repair at an affordable price is recognized. Keep these online reviews coming and don’t forget to spread the word to family and friends in need of appliance repair services in the Buffalo Grove, Arlington Heights, and the surrounding suburbs. Not happy about your service? Let us know here. For dryer repair: called in the afternoon and was in my house the next morning, diagnosed and fixed in less than an hour. Very fair price and very friendly service - would not hesitate to recommend or use again. The rep(Lou) was on time, performed the work quickly and the cost was reasonable. I would definitely call them back for my appliance repair needs. Very honest, professional and reliable; Provided service over the phone and more than willing to come out. Followed up with me the next day to ensure my dryer was still working. I had an emergency. I had to turn my water off in my house due to a washer machine problem and need someone out right away. My daughter called Area Appliance and they came out to my house at the time they said they would. They were able to turn the water off to the washing machine and turn the water back on in the house. Lou looked at my machine and told me what was wrong with my machine and gave me an estimate on how much it would cost to fix it. He also was up front with saying I would be better with getting a new machine. I found that he was honest. I would recommend this company to my family and friends. Tech was very good, personable and knowledgeable about a wide variety of appliances. Gave good advice about some appliances we were thinking about buying. They showed up on time, identified the problem quickly, and fixed the issue on the spot. My guy Lou has been doing it for decades and did an awesome job. I definitely recommend Area Appliance. Lou was extremely informative and helpful in describing the issue. He offered a number of options on repair vs replace. I would highly recommend Area Appliance for their professional and honest approach to appliance repair. Lou is very knowledgeable, honest and efficient. I have hired Lou twice. Our appliance was an older model and Area Appliance was able to repair the problem. He was professional, honest and courteous. We were very pleased with the service and would use Area Appliance again and highly recommend them. Lou, the owner came out to look at my refrigerator in less than 2 hours after I called him. He did a thorough check but found no mechanical problems. He explained a few possibilities that could be wrong with it but since it,s over 13 years old we discussed that my best option would be to replace it. When I went to pay him for the service call he didn't even charge me. He is very knowledgeable with over 40 years of experience. I dropped an object in the lint part of the dryer. I called the store where I bought the dryer and was told it would be an 8-10 day wait and $160.00 for just coming out. Panicking I looked at Angie's list. Lou, from Area Appliance, called me back immediately after I posted my request and came out the next day. Trust me when I say that this is the type of service that everyone should hope to have. He was honest, very reasonably priced, personable and reliable. I wouldn't ever use anyone else. Thank you Lou!! Rapid response, professional person, job completed very fast. So far my appliance repair is working well. On time, explained options, completed repairs quickly. Good job. The business owner called me on the request for service. When I described my problem he instructed me over the phone how I could easily troubleshoot my problem and I was able to address it myself. The owner was informative, courteous and had a real focus on customer satisfaction. I would readily contact AREA again. Great job guys! They fixed my washer and dryer up about a year ago. Now I had a problem with my refrigerator and luckily I still had their number. Lou came out and repaired it pretty quickly. Can't beat the cost. I'll definitely keep using them. Thanks again! Lou has been here 3 years in a row fixing my old washing machine. His service is great and the repair fees are within reason and so much less costly than a new washer/dryer appliance. Thank you Lou!! Great service for a Whirlpool stove repair. The service person, Lou, was professional, caring and fast. But most importantly, our stove is fixed! When our oven went out and I called around for service call to different companies they were definitely the most professional people that I spoke with. So they came out in a very timely manner and Lou the service rep gave me the bad news that it could not be repaired which was fine. Two days later our freezer door would not close so I called them to come back they came back the next morning-this was Lou again and as it turned out he took out one of the trays in the bottom of the freezer and moved it one spot up and lo and behold The freezer door closed. Very good company and I would use them again and refer them to anyone that needed appliance repair. Excellent work! I called the evening of the day after Thanksgiving and Lou came out next day saw the issue with our MayTag refrigerator. Lou came early and replaced two parts in our fridge and made sure our floors were clean from the defrost/repair. I would highly recommend this company, very friendly, and good rates. We just moved into our new place a few days ago and we're already experiencing issues with our refrigerator. We were so mad, because we just bought a bunch of stuff from Costco and the fridge isn't cooling. Luckily Lou came out and fixed the issue. Thanks again guys! You relieved a little stress and save a few hundred dollars in food. Back to normal, thanks to Lou! I just bought a new condo and already had issues with my refrigerator, so we called and they arrived fast. Thankfully it was fixed same night so we didn't lose any of the food we literally just bought. So frustrating, but it's all back to normal thanks to Lou! My new go-to for appliance repair. Response time was very fast, customer service was great, but most importantly, they were HONEST and up-front about my appliance repair. Thanks again Lou, we're back in business! He came over today and repaired our Maytag washer and dryer unit. Lou was on-time, nice, knowledgeable and fixed the issue. Plus, he put the service charge towards the bill, great deal. I'd highly recommend Area Appliance Services to my family and friends. Thanks for coming out today so quickly! Thanks for coming out today so quickly! My washer was leaking all over the place and Lou helped me clean up the mess and fixed my problem pretty fast. I will be using you guys again, but hopefully not too soon haha. My dryer is fixed! He came on time, diagnosed the issue pretty quickly, had the part already, and he was nice & knowledgable. They were also way cheaper than the other company that gave me an estimate. Thanks again. They did a great job fixing my oven, came out next day and was on time. A little pricy, but glad I didn't have to buy a new one right before our Christmas dinner coming up. I would like to thank Lou for the great job he did on my refrigerator. I was having a party on the weekend and my fridge was not getting cold and I had a lot of food that would go bad. I thought I was going to need a new fridge with no time to look for one and the party two days away. I explained my situation and Lou came out the next day diagnosed the problem and made the needed repairs (a start capacitor) and saved my food and weekend party. I would recommend his services he was quick and efficient, Thanks again to Lou. I called this company because their service would repair my dishwasher the next day, rather than waiting for Abt for a few days. The good news is that they did do the repair, for a few dollars less than Abt. However, the service person had an attitude. Complained about how did I break it? Said, "Why didn't you call Abt? They would have been cheaper". Complained about the lighting. Would never look me in the eye when talking to me. He went out and took the carriage in the truck to put new rollers on. I saw it was raining outside, and went to get my garbage can to the side of the house while he was working. I accidentally "brushed" his van (in my driveway) with the plastic can. There was a "dirt smudge" (no scratch of any kind), and he was going to call the Glenview Police to file a police report. he threatened this 3 different times. Then when it was time to pay him, he didn't like the look of my check. Anyway, it's fixed, he's paid, his truck is fine. Then I called the owner to complain, and he might as well have been the driver/repairman. More of the same. He asked me if I recorded the conversations! No support. So I told him what I am telling you all now: I should have taken the repairman's advice in the first place, and called ABT. Don't use this company!..BTW, they now have a PO Box in Buffalo Grove. 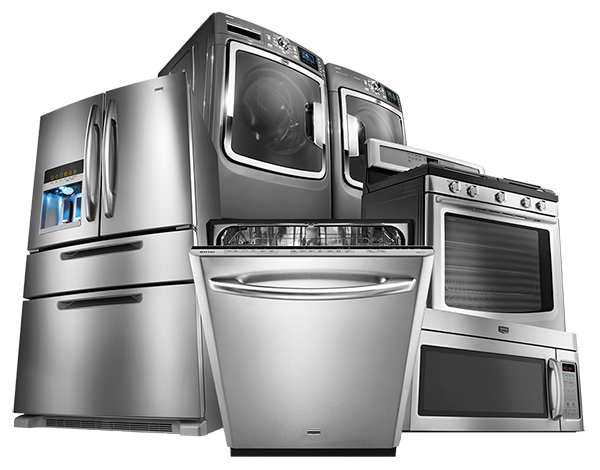 Area Appliance Service is one of the best appliance repair services I've ever used. I recently had a service tech out to my house to repair a Hot Water Heater that needed a new thermocoupler/burner. The tech, "Lou" was actually ON TIME, not some 4-6 hour window. He called when he was about 10 minutes away, which I specifically requested. He was very courteous and meticulous. Everything was explained. The parts were on the truck, so he didn't have to make a second trip out. Not only did he get the job done quickly and efficiently, he even brought his own vacuum to clean around and underneath the Water Heater. Gave me a few preventative maintenance tips, as well as a few maintenance tips on other appliances that I had concern about. He really went above and beyond. I was presented afterwards with an itemized invoice for parts and labor, not some lumped up charge to hide costs. When he left, I actually looked up the net cost of the repair parts, and they were actually priced in the same ballpark! Not marked up 50-70%! I was amazed. It probably would have cost me what it would have cost in shipping. I never write reviews online. This really is a testimonial to how good Area Appliance Service actually is. My family has been using Area Appliance Service for years. He is very honest, dependable and knowledgeable about what he does. He adheres to the old fashioned notion that you treat your each one of your customers like they are your most important one. This is a great business and resource. WE highly recommend him. I searched the internet for companies in my area to service my dryer and left several messages with no response. I initially was hesitant to contact Area Appliance based upon a couple of the reviews. However, they were the only company to respond quickly, and able to accommodate an evening appointment because of my work schedule. Not only was the scheduling flexible, my dryer was fixed immediately, the serviceman was polite, efficient, and the cost was only $79.00. Being a single parent, affordability and convenience are very important. I would highly recommend Area Appliance Service. Service was really great - my stove was stuck with burner in ON position and I bent the post trying to turn it off. I have three kids and need my stove and oven every day. Lou had the part overnighted and within 24 hours I am cooking again. THANK YOU! This company is an absolute scam, and I'm not sure if they really have skills to repair stuff. Owner showed up at my home, bitched about the snow before he even got in the door. He was in a huge rush, likely to take my money and run, and apparently knew the problem with my dryer without even investigating - he even pretended to care as he was leaving. He didn't listen to me, slapped a sticker on my dryer (which I've since removed), and cleaned the lint out of the vent, didn't even test to make sure that was the issue - had no problem charging me $89 for that. This guy is a huge creep, beware and never use this company. We had a dryer issue where the gas dryer wouldn't dry. The repairman showed up and was nice enough. I explained to him what was going on. He completed an assessment and explained to me that we needed to replace our igniter, door latch switch, and he replaced a couple of other parts that were "worn out" as well. This totaled $ 238.00. I would have been thrilled if the problem had been resolved. But it had not. After he left I tried drying some clothes but the basic problem had yet to be resolved. So I called back and he came back out. I explained to him what was happening and he essentially told me that I was wrong. He then ran the cycle through multiple times and you could hear the igniter clicking. Which would have been great if gas would come out of the nozzle to ignite, which it wasn't. He made the argument that it was "working fine" and left. He didn't charge me anything more --thank goodness, but I didn't have any confidence he was going to fix the problemI went online, found a site that explained what the problem probably was (basically there are two parts that could cause the problem of gas not coming out of the nozzle). I bought the parts myself and made the repair myself. While I like to tinker at times, when I hire someone to repair something, I want it to work better when they leave than when they arrive. And I should not have to then fix it myself. The repairman was nice enough, and maybe he was having a bad day or something, but I would not hire this company again to repair anything of mine. Area Appliance Service has been a family owned and operated company since 1958! We pride ourselves in being the #1 trusted appliance repair experts in the Buffalo Grove and Arlington Heights, IL areas. Our team of repair technicians fights hard to provide first-rate appliance repair and excellent customer service. Our company goals have never changed: Quick response to your appliance repair needs in a timely manner with skilled, factory trained, professional technicians at low and reasonable costs to you! We also offer emergency home appliance repair services 24 hours a day, 7 days a week, all over the Arlington Heights, Buffalo Grove, and surrounding areas, because we know how frustrating it can be when your appliances just do not work like they should.